215.39 sqft. - 444.66 sqft. 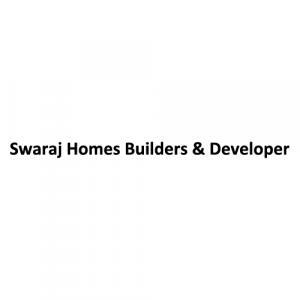 Swaraj Heights is one of the most awaited projects in a fast growing and developing city. The surrounding area is serene and beautiful for the delight of all. It is one of the well-designed projects which has ultra-modern amenities and features instilled within it for the comfort of future residents. The apartments are surrounded with the beauty of nature from all sides. The French windows and open terraces give a fresh airy atmosphere along with ample sunlight and proper entilation. Every corner of the room is designed in a modern way to suit the expectations of the modern age households. The project is developed with the latest trends which would provide the modern residents a comfortable and classy living. Panvel is the most populated city in Raigad district in Maharashtra, also known as the gateway of Konkan region. 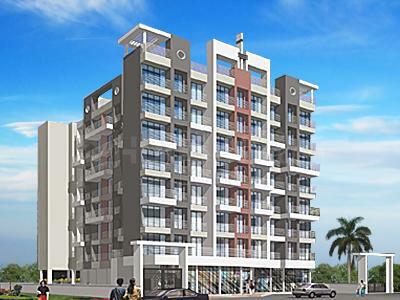 The recent developments of Panvel are in New Panvel. The development of New Panvel was initiated in 1970 to meet the housing requirements of employees working in the nearby industrial MIDC areas. New Panvel is strategically located on the eastern side of the Mumbai - Bangalore National Highway (NH-4) and the Mumbai-Pune Expressway. It is well connected to rest of India by road and railway. New Panvel is just adjacent to the proposed Navi Mumbai International airport. A Reliance SEZ is also coming up in the vicinity. It has a number of schools, colleges and hospitals to meet the needs of its residents. It has ICICI & HDFC Banks in close proximity. It is home to many educational institutes like Pillai’s Institute of Information Technology, Engineering, Media Studies & Research, St. Josephs High School, Changu Kana Thakur School and Jr College, DAV Public School, New Horizon Public School & many more. For health care facility in New Panvel, the most notable to mention is Shreyas hospital. Looking at the location, major transportation links, modern civic facilities & amenities, modern healthcare facilities, job opportunities - New Panvel has now become most sought after real estate destination in Navi Mumbai for residential space buyers.